With the harsh winter that has hit much of the northern states and Canada, our team has been pondering the effects of the temperatures on fish in these waters. With a full-time fisheries biologist and avid angler on our team, we just had to ask the questions that are on everyone’s mind. We called upon Jason Barnucz, Fisheries Biologist and Pure Fishing Ambassador, to find out just what the crazy winter will mean for fishing in the coming season. We asked Jason about heavy snow cover on lakes. With all the snow on most lakes over the winter and temperatures staying in the minus, the snow blocks sunlight. The lack of sunlight penetrating through the ice and freezing temps is sure to kill off more weeds than in previous years. Is this correct from a biology standpoint? How will this effect fishing next season? Jason told us, “Winter cycles help to drive our fisheries here in northern latitudes. 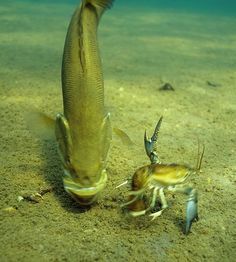 Our fish are adapted to surviving this weather but it does have impacts on lakes/rivers and the fishes within them. This can be species specific and lake specific, smaller lakes are likely more impacted than larger ones. Ice cover on lakes is like a plastic bag of oxygen. The longer the ice period, the less oxygen is left for the fish. Other factors like weed growth/dying plays into this also”. As a tournament angler I was also curious about bass size this coming summer. I would expect that the harsh winter would make water colder for longer periods. 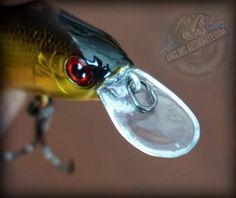 In turn, it could result in smaller bass by discouraging them from expending excess energy to eat; causing them to come out of the winter thinner than usual. 2) winter survival. 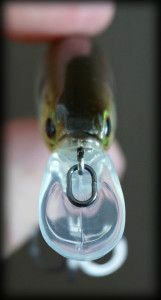 These two factors allow more bass to recruit into the population resulting in a healthier population. So there you have it. In the short term there will be no negative effects of this harsh winter, but bass anglers may notice a decline in bass size in the next few years. If we have another harsh winter in 2014/2015, it will compound the effects this year and further reduce bass YOY survival. As the spring comes closer anglers need not despair. Fish will still be there and will have survived the harsh winter. Finding them will still be up to you! Grant is the Founder of AnglingAuthority.com. While he primarily fishes for large mouth and small mouth bass, he’s passionate about sport fishing in general. Learning about new tactics, gear, species and conditions is all part of what makes the sport challenging and enjoyable. Grant also loves to travel, particularly to prime fishing destinations. 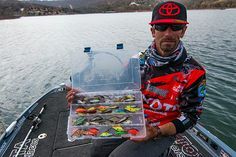 Grant participates in regional tournaments and is a proud member of State Apparel and Gambler Lures’ Am Pro Staff, Canadian Bass Anglers Federation, B.A.S.S. and Ontario Federation of Anglers & Hunters. Jason is a full time Fisheries Biologist. His research is focused on fish species at risk and invasive fish species in the Great Lakes Basin. He spends his spare time teaching, lecturing and of course…fishing! Jason is an active member of the Bass Anglers Sportsman Society since 2003. Over the last decade years, Jason has served Ontario B.A.S.S. Nation. 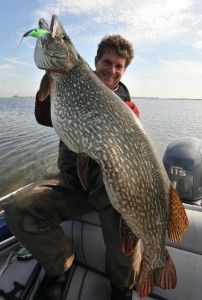 Currently, he is the President of the Hamilton Bassmasters and Conservation Director for the Ontario B.A.S.S. Nation. As an angler, Jason takes pride in promoting the sport of angling. 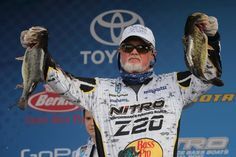 Since 2012, he’s been working with Pure Fishing as an Ambassador, representing the Berkley, Abu Garcia, Fenwick, Pflueger, Hodgman, Mitchell, Stren, Penn brands.